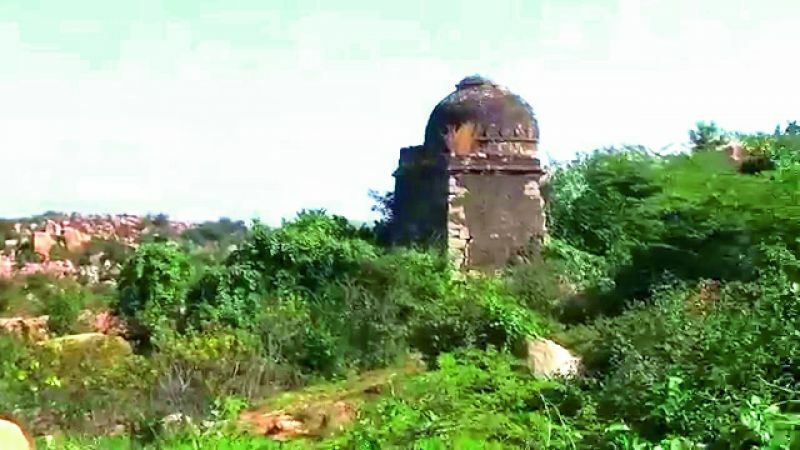 Anantapur: Historians are still in a state of conflict over the grave of Vijayanagara emperor Sri Krishnadevaraya, who reigned from 1509 to 1530 as the third ruler of the Tuluva dynasty. There are no clear inscriptions about the emperor and his chief minister Thimmarasu’s graves, and only belief by the locals. 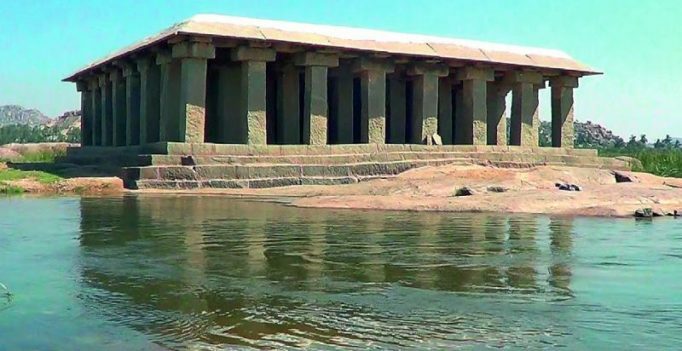 People believe the grave is situated in a mantap built in middle of Tunga-bhadra River at Anegundi that has a fort with many gates, a Durga temple and tombs near the fort entrance. Vijayanagar kings used to pray before every battle at the Durga temple, then they would visit Pampa Sarovar and Shri Laxmi temple. While Krishnadevaraya’s rajguru Saint Vyasaraja Swami, and his predecessors and successors have well-marked tombs a few metres away from the location, the king’s tomb eludes clarity. Locals believe that the 60-pillar mantap is the king’s tomb. “Normally for any history, inscriptions play a vital role while people’s belief passed on through generations is the third priority. However, there are no inscriptions available about the great emperor,” historian Vempalli Gangadhar from Kadapa said. He said even Thimmar-asu’s grave had no clear authenticity. A tomb situated on Penukonda hill in Anantapur district, summer capital of Vijayanagar empire, is believed to be that of Thimmarasu. A group of historians have denied the belief. At present, the tomb is in a vulnerable position. “Whether it is the tomb of Thimmarasu or not, the government should take proper measures to protect existing structures,” Ghanagiri Parirakshana Samiti leader J. Prathap Reddy opined.